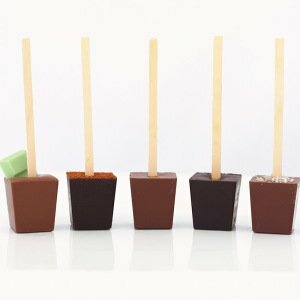 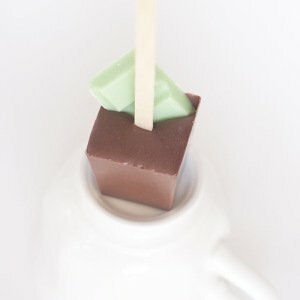 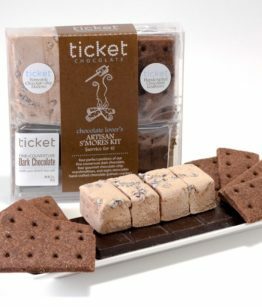 Four perfect portions of our fine couverture chocolate, four gourmet marshmallows, and eight delectable hand-crafted graham crackers. 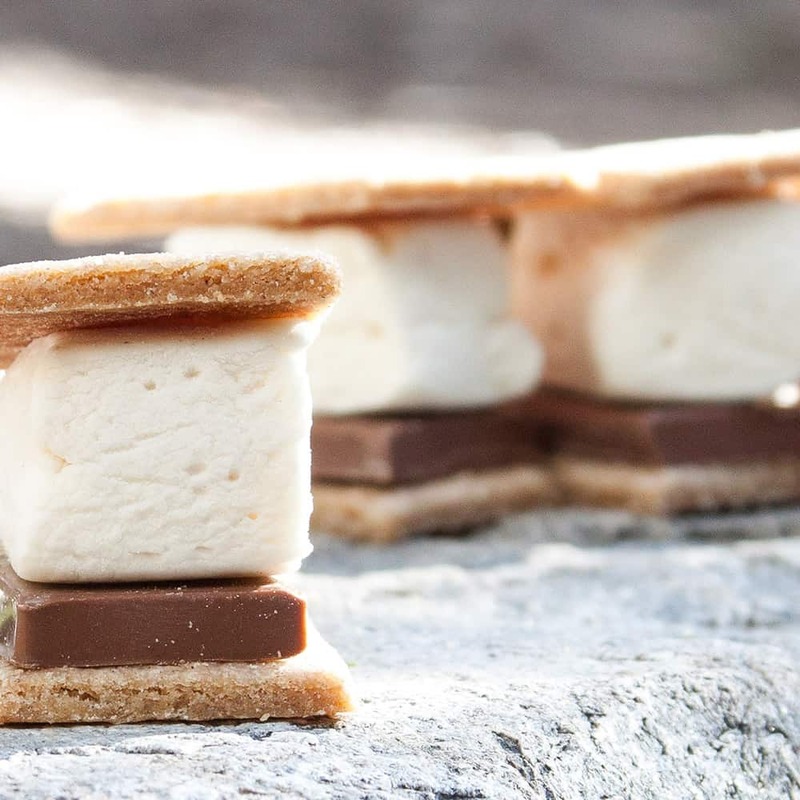 Here is the quintessential summer camping treat, all grown up. 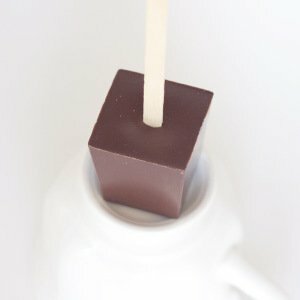 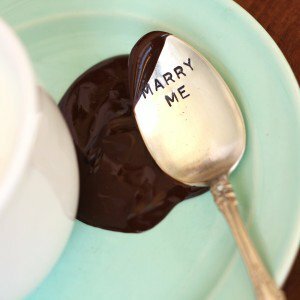 It’s the ultimate melty, ooey-gooey, chocolate graham marshmallow experience. 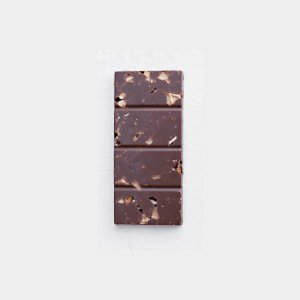 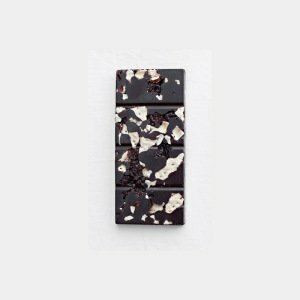 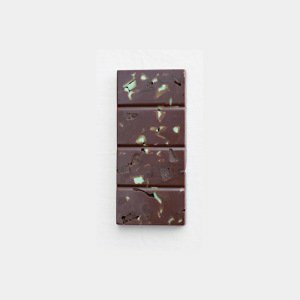 We give you a portioned bar of the finest couverture chocolate, four vanilla-bean marshmallows, and eight freshly-baked honey vanilla graham crackers. 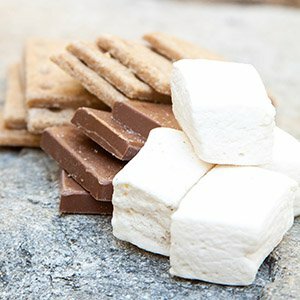 Put them together and you have an indulgence unlike any other, outdoors or in. 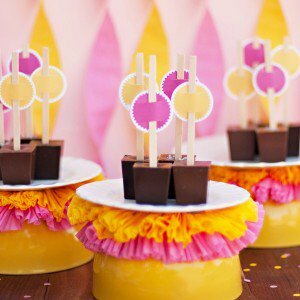 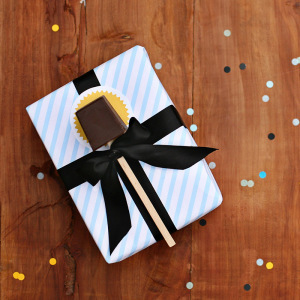 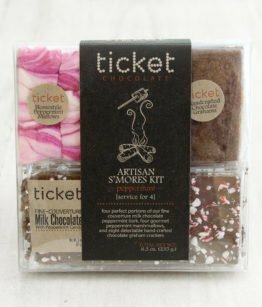 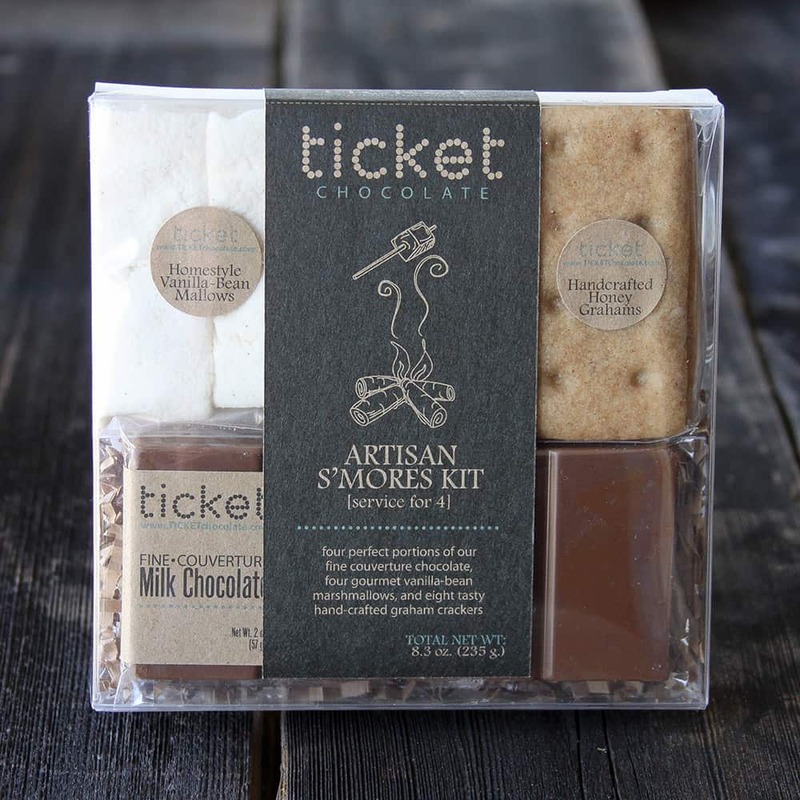 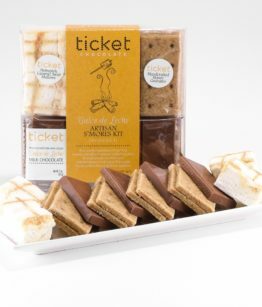 Be the first to review “Classic S’mores Kit – Service for 4” Click here to cancel reply.